When: Sat., April 20, 1-5 p.m.
Price: $5 per child, $5 per single adult (with no children), Additional $5 for Kid's Yoga Class, additional $5 to enter your child in the kid's fasion show. Fun for the whole family, so be sure to bring the kids! You and your family will enjoy snacks, story time, mini games, and a kid friendly drag show! Admission is $5 per child or $5 per single adult (with no children). An additional $5Kid's Yoga Class, and an additional $5 for your child to receive a mini makeover in the Kid's Fashion Show. 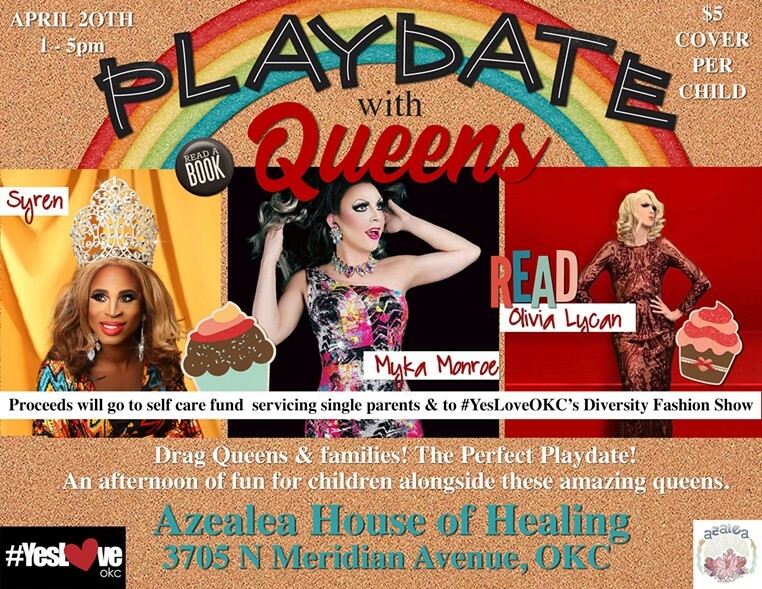 All proceeds go towards the Self Care Fund for Single Parents at Azealea House of Healing, as well as the #YesLoveOKC UBU Diversity Fashion Show. Tickets can be purchased at the Door or the link Provided.